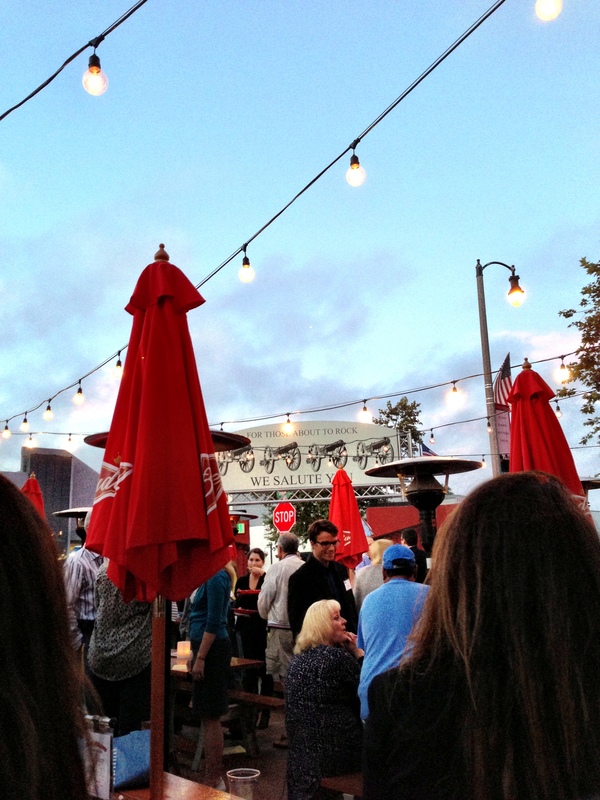 Hello 6th Annual Nachos and Networking UCLA Alumni Event! 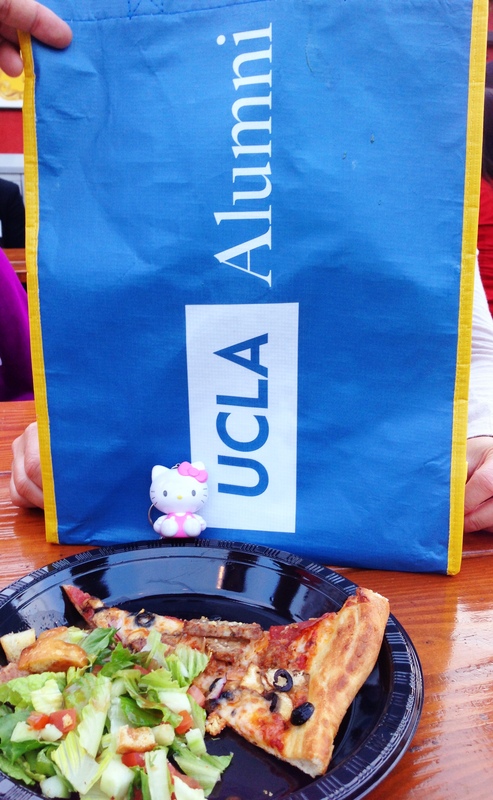 I recently attended a the 6th annual Nachos and Networking UCLA Alumni event. 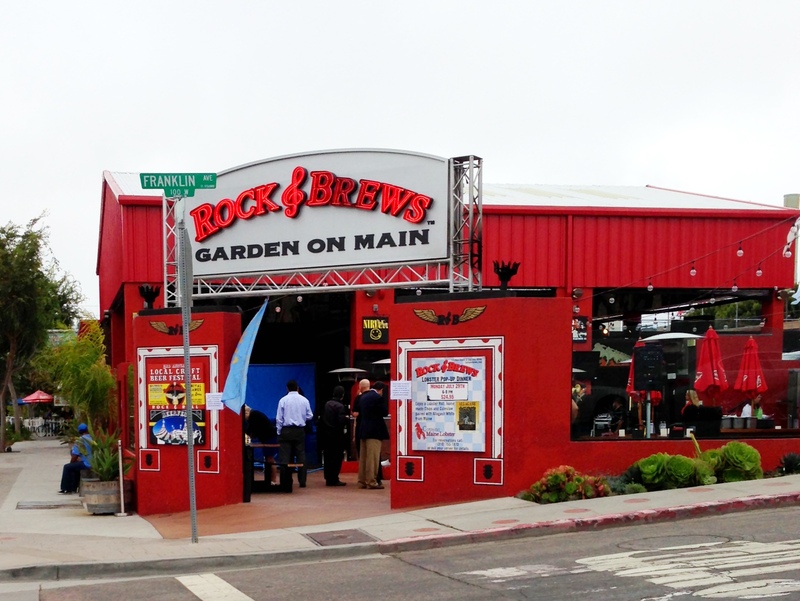 It was held at Rock and Brews in El Segundo and was the first ever UCLA Nachos and Networking event held in the South Bay. 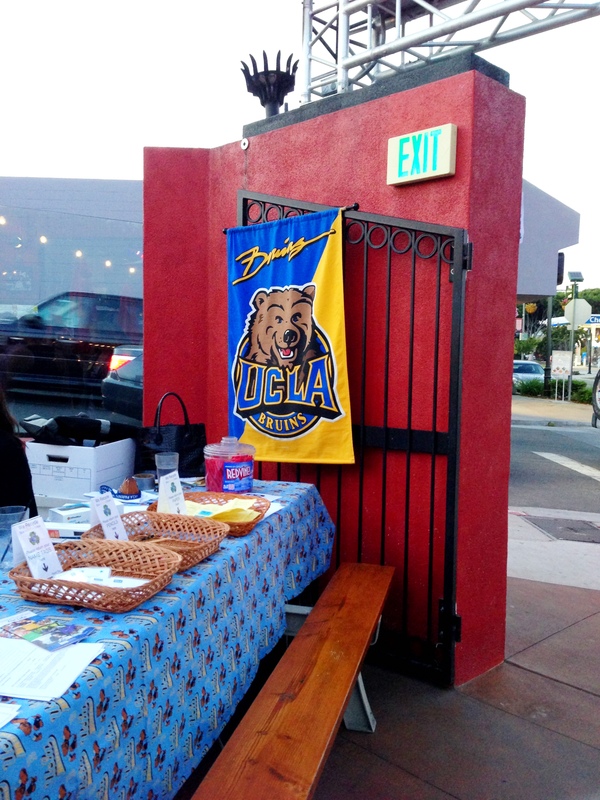 When I first entered, I instantly felt the Blue and Gold Bruin spirit! The victory bell was present! The vicotry bell is an annual trophy given either to USC or UCLA, depending on the winner of the annual UCLA-USC crosstown rivalry football game! The victory bell is then painted in the color of the winning team! 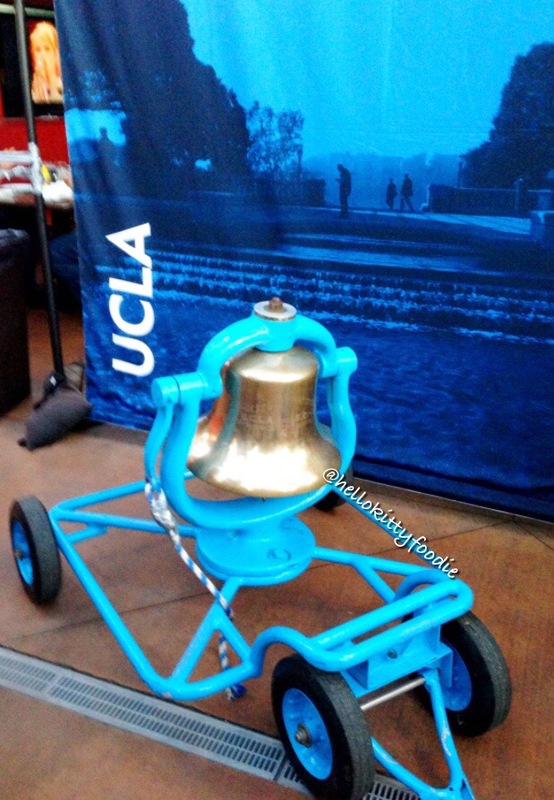 It was nice to see the victory bell in Bruin blue! The night started off with picture taking and mingling with the various alumni and students! It was fun to see UCLA Bruins, from the young to the old, ready to have night of fun! Rock and Brews started the night off with serving us yummy appetizers of chicken wings, cheese bread, calamari and pretzels! As we were enjoying the yummy food, all the alumni continued to mingle and get to know each other! There were also various speeches! 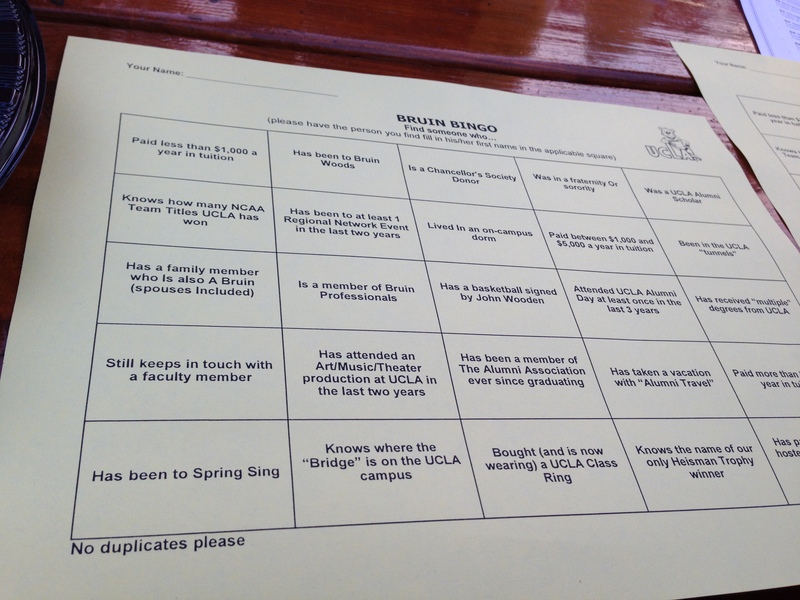 We also found ourselves playing a fun UCLA bingo game. More food was served in the form of various different pizzas and salads! We ended the night by doing the UCLA 8 clap that will be part of a new youtube video for the UCLA 8 Clap Heard Around the World! Watch out for that on youtube soon! 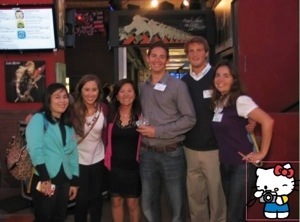 I had lot of fun partaking in the 6th annual Nachos and Networking UCLA Alumni event! 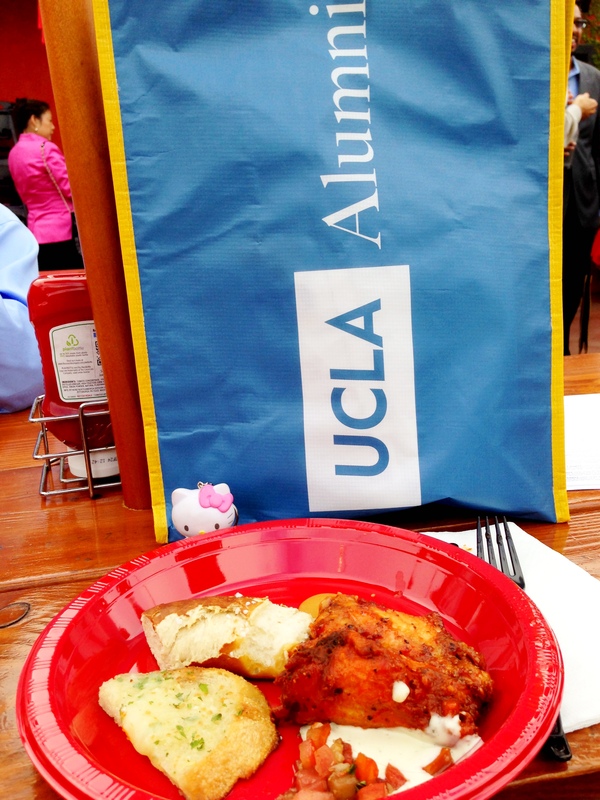 I’m proud to be a UCLA Alumnus! Go Bruins! 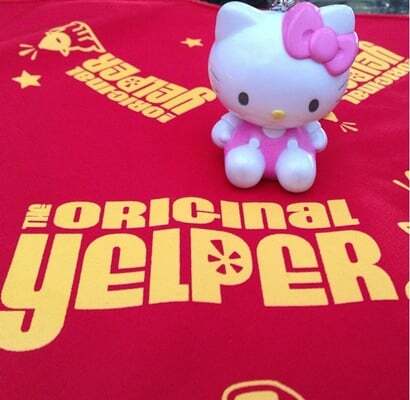 Happy 15 cent hot dog day!